« 6/23 More fruit and monster garlic! The Tardy Blogger strikes again…. This post dates to June 18. But just like stock, the best events need time to simmer, right? If you’d asked me last week who my favorite TV chef was, I would have said Gareth Blackstock. Now it’s a tie. 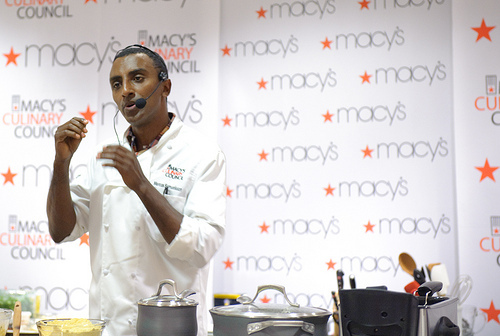 Thursday evening Lucy and I made the voyage (there’s really no other word for it) to North Point Mall for a cooking demonstration given by Marcus Samuelsson. 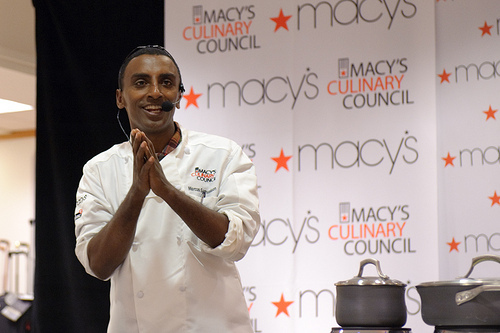 In case your existence is as cable-free as mine, Chef Samuelsson recently won Bravo’s Top Chef competition. 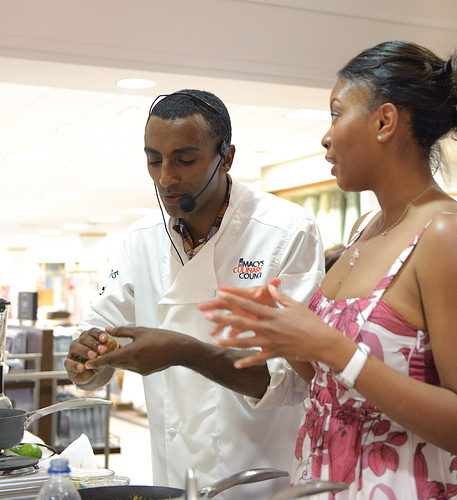 He was born in Ethiopia, grew up in Sweden, trained in France, traveled the world, and moved to the U.S. to raise our national standards and our self-esteem when it comes to our relationship with cuisine. When serving a wedge of lemon or lime with a dish, brown it a little with the food. The juice will come pouring out when it’s squeezed. If you have to serve collards, cook them with Pac choi. 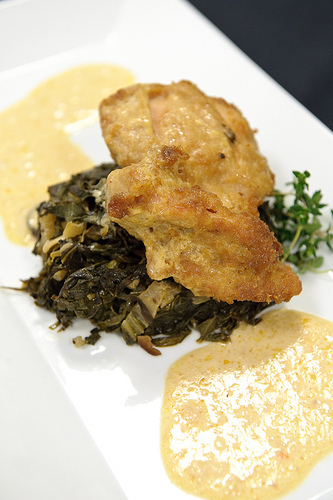 The softer, wetter Pac choi makes collards downright edible. Frying chicken is too much work. I am one lazy cook. Gravlax, a Swedish dish of salt and sugar-cured salmon, is delicious – especially Chef Samuelsson’s biographical gravlax made with Ethiopian Berbere spice. The best way to get Berbere spice is to barter for some at an Ethiopian restaurant. Thursday night Chef Samuelsson regularly hit on two ideas: 1) we all have stories about food and 2) the diversity of our stories is America’s best advantage and gift to the world of cuisine. I suppose I have a story about food – perhaps more philosophical than ethnographical. My tastes don’t run to the Southern cuisine that genealogically is mine (with the exceptions of cornbread and pimento cheese). But the ideas of family and table and of cooking as service, joy, and necessity all rolled into one are definitely part of my heritage. There was useful advice on how to introduce new foods or foods people don’t like (slowly and with lots of honey-mustard). And, after issuing the caveat to always buy sushi grade-A, he shrugged off concerns about eating gravlax. Life has risks; don’t avoid the tasty ones. Sharing and story-telling is warm, fuzzy, and inclusive; professional fine dining is another story altogether. 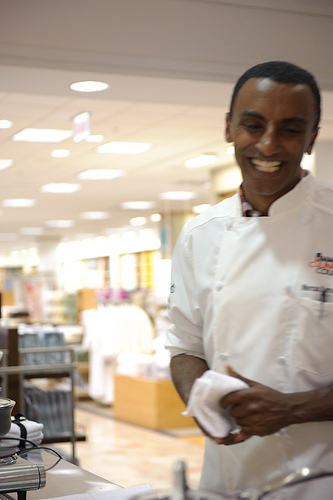 Chef Samuelsson’s grace on the impromptu stage in the middle of Macy’s and his quick smile that always contained a hint of a challenge told their own story of skill, passion, and drive. So it wasn’t surprising when he started throwing out phrases like “exceed expectations,” “over-deliver,” and “always do your best.” I’ve heard these phrases many times in my life and from many different people. 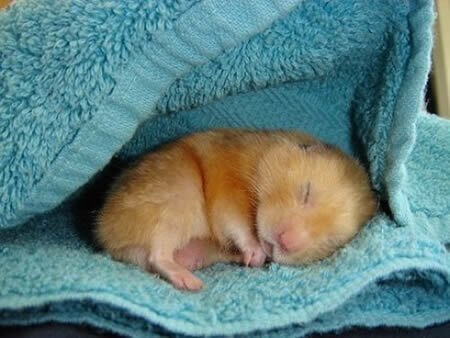 And they never fail to stoke my desire to curl up and take a nap. I respect chef-hood, the discipline, and definitely the results. But even as a diner, I’m not convinced I want to be over-delivered to. It turns the joy of dining into an arms race between diner and kitchen. How delicious can I imagine this pasta to be? How are you going to beat that? That’s not fun. Ecstasy and comparisons, analysis and bliss are mutually exclusive in my experience. I intentionally try not to have expectations about food. And it’s useless over-delivering to a slate that’s doing its best to be blank. Chef Samuelsson’s take on our stories about food and new American cuisine is compelling. It reminds me of that old PBS ad that never failed to stop me in my tracks. Remember this? Welcome to a place that is always just beginning. That rouses itself day to day to admire what it has made starting with nothing and then rushes to invent itself all over again…. Welcome to a land which is never quite what you think it is and will never stay that way for long…. There are a million stories on the streets of the cities that we never finish building. We intend to tell them all. I love the idea of our national pantry bursting with foods and techniques. I love that we can throw open the doors of this pantry to create and enjoy food like no other place on the planet. We just need to do as Chef Samuelsson urged us that night: decide our stories have value and that we all get a say in the conversation about good food. Thanks to Lucy at A Cook and Her Books for making me go, to Dawn who invited me up for crabcakes, to Pedro at Foodie Atlanta for all the great pics (except the hamster; that’s from Pondstone Communications), to Marcus Samuelsson for the delicious food and social commentary, and to Lauren, Genna, and Macy’s Culinary Council for throwing such a great event. 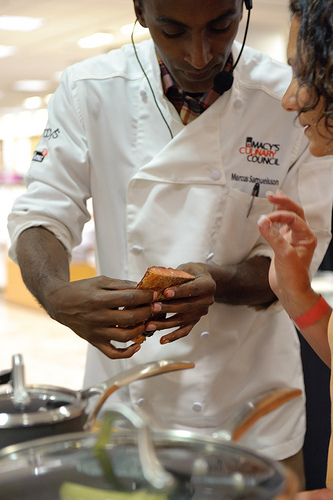 Next month, Macy’s Culinary Council is hosting another free demonstration. This one’s at Lenox Mall with Tyler Florence. Visit here for details and to RSVP. 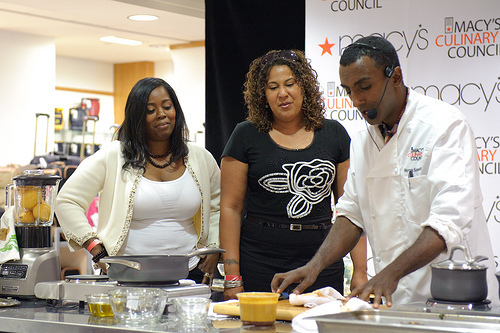 Susan, thanks for this awesome post about Marcus Samuelsson’s Culinary Council event and thanks again for coming. I’m glad that Lucy dragged you out to the event and look forward to seeing you at the Tyler Florence Culinary Council demo in a few weeks. See you there!